Bragi Ólafsson is the master of making mountains out of molehills. Here is how a typical Bragi novel unfolds: the author kickstarts a narrative with a situation that looks like it has virtually zero potential for complex development, and then he digs deeper into it, and deeper still, and even deeper, mining the situation for its subterranean minutiae, until he reaches a point at which it erupts into something much more elaborate than seemed possible at first. But to say that Bragi’s latest novel is a good jumping-on point for newcomers is to damn the book with faint praise. Narrator (trans. Lytton Smith) does indeed amount to a compendium of Bragi’s quintessential charms, a distillation of all the qualities that make him so distinct a figure in Icelandic literature. Too often, however, the novel achieves this status simply by repeating manoeuvres that Bragi has pulled off with greater flair in his earlier work. Before he turned his hand to literature, Bragi Ólaffson made his name as the bass player for The Sugarcubes, the late-eighties pop band that launched the career of Björk. After the band split up in the early nineties, Bragi’s creative activities took a distinctly Icelandic swerve: he put down the bass guitar and reinvented himself as simultaneously a music producer and a publisher of poetry, while also experimenting with playwriting and some poetry of his own. 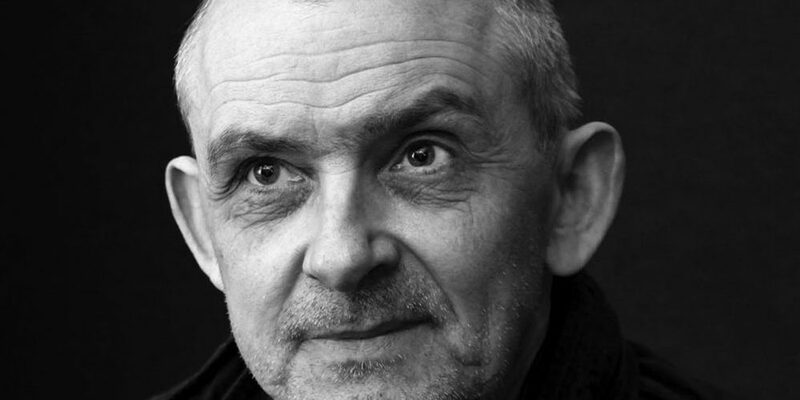 His début novel, Hvíldardagar (Days of Rest), appeared in 1999 but remains untranslated into English at this time; his follow-up, Gæludýrin, appeared in 2001 and was published in English as The Pets (trans. Janice Balfour) in 2008. “Prolific” doesn’t quite cover his output since he took up writing prose almost two decades ago. 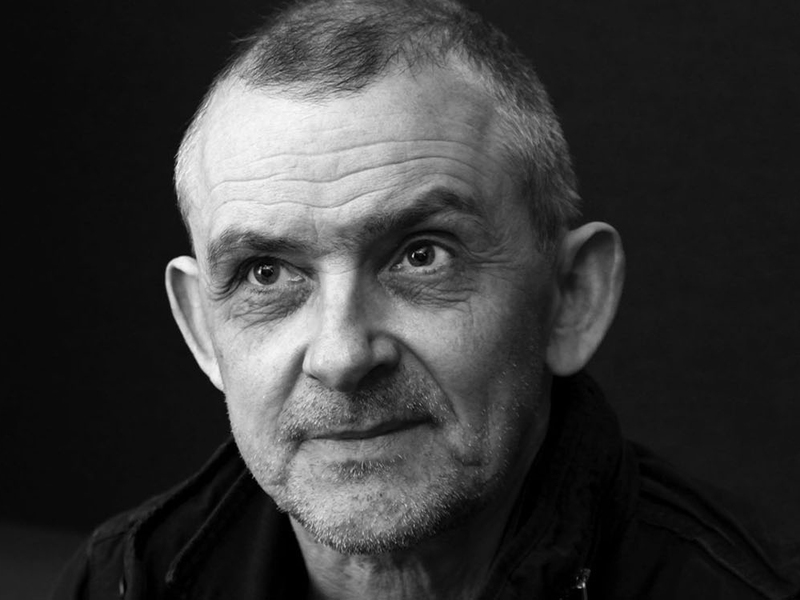 He has written seven more novels and three plays in the years since Gæludýrin, although Anglophone readers so far have access to only a couple of those: The Ambassador (2010, trans. 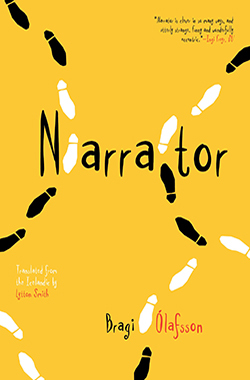 Lytton Smith), first published in Iceland in 2006, and now Narrator, from 2015. So, then: mountains out of molehills. The Pets begins with a man relaxing at home in Reykjavík when an old acquaintance knocks at his door. But the backstory between the two men complicates this straightforward set-up: the protagonist has just returned to Reykjavík from London, where he was spending his winnings from a lucky lottery ticket, and his acquaintance is a drunkard with whom he once lived — in London, of all places — when the two of them were involved in a bizarre and ill-fated petsitting scenario. And the form of the novel complicates things even further. When the protagonist spies his acquaintance through the window and decides he doesn’t want to confront him, he goes into hiding, dives beneath his bed, and narrates the novel from there — first as the other man continues knocking, then as he breaks into the house and starts to dismantle it. There aren’t many narrative situations as simple as the disruption of ordinary life by an unexpected arrival, but The Pets takes it and runs with it, transforming it into something elaborate and whip-smart. The Ambassador is even better. Here, an Icelandic poet prepares to take part in a literary festival in Lithuania, and the novel simply follows him as he wanders around Reykjavík, flies to Vilnius, and travels into the Lithuanian countryside. But, again: mountains out of molehills. Who is this poet? On the one hand, he is continually mistaken for another Icelandic poet with whom he shares a name. On the other hand, he isn’t even the poet he purports to be: his most recent book, highly acclaimed, has been largely plagiarised from the unpublished work of a cousin who long ago committed suicide. What is this man doing with his life? Before travelling to Lithuania, he buys a new overcoat. When the overcoat is stolen in Vilnius, he steals someone else’s and becomes a new person, dabbling in romantic dreams of starting afresh with a woman — a real poet — from Belarus. What promises to be a novel about a journey abroad and a poetry reading is, finally, an elaborately embroidered and chronologically convoluted investigation of the blurred lines between art and artifice. In many ways, then, a book like Narrator is the logical outcome of these two earlier novels. It shares more or less the same set-up as The Pets and the same interest in the ambiguities of authorship as The Ambassador. The protagonist, known only as G., is unexpectedly brought into contact with an old acquaintance, and although the encounter takes place on the streets of Reykjavík rather than in the protagonist’s home, there are traces of The Pets running through Narrator: in the newcomer’s failure to notice the protagonist, in the protagonist’s retreat to a hiding place, and especially in the tightly compressed timeframe of a narrative that unfolds over just a few hours. The protagonist surreptitiously follows his acquaintance through the city, stalking him, maintaining a discreet distance and keeping to the shadows. In the course of his journey, G. convinces himself — on the basis of impossibly flimsy evidence — that his acquaintance is involved in a drug deal, and that he might intervene in events and become a hero. But then, as G. walks on, carefully tracking his prey, sometimes drawing near to him but sometimes staying far away, the narration of the novel apes his movements while making him both its source and its subject. Like G. himself with his eyes on his target, the narration — and therefore the narratorial perspective — similarly alternates between drawing near to him and then retreating. So, for example, the voice of the novel switches between the first-person “I” of G., and a third-person voice which seems to be G.’s depersonalised account of his own actions, and another first-person “I” which appears not to belong to G. and in fact might belong to someone who is following him while he follows his acquaintance. The result of this continual switching is, of course, a blending of narratorial observations and an overlapping of attributions: “When someone leaves something behind, someone else always comes to gather it up”, says G. at one point, before he offers this so-called clarification: “Someone else; me. Him, I mean.” Wait a minute — who? Who exactly is the narrator of Narrator? What does it even mean to narrate, if the events being narrated are not within the narrator’s ken? Much as The Ambassador probes the stability of an identity that is both creative and created, Narrator destabilises its protagonist’s identity through a system of regressive narration. This is all spritely and entertaining as far as it goes, belonging to a vein of lightweight metafiction in which the playfulness of the form is more important than any of its literary-philosophical implications. No surprises there: Narrator nails its colours to the mast early on. It opens with a lavish description of an absurd film in which excessive flatulence leads to gruesome death, and afterwards — interrupting the description when the man watching the man watching the film is compelled to leave the cinema — it flits back and forth through time by jumping to events “five or six hours earlier”, then “five minutes later” or “half an hour later”, and eventually it gives an important section of the narrative this ostentatious title: “And a Little More Than One Hundred Minutes Pass”. But for all its pretensions of buoyancy, its restless energy, its manic eagerness to please, Narrator still feels unaccountably sluggish, even at only 150 pages, like a short story bloated to four or five times its natural size. Why? Part of the problem surely has something to do with context, with the appearance of Narrator in the wake of Bragi’s earlier novels. Both The Pets and The Ambassador wear their metafictional elements lightly, whereas Narrator makes them overt and, as a consequence, inert. “I believe I stand by the fence for five or six minutes after Aron lights the candle”, says G. towards the end of the novel. “But what am I thinking? Who? Who thinks what? Him?” That right there is a blatant vocalisation of the questions raised by the novel’s formal ingenuity, but as soon as they are put so plainly in black and white they enervate the form itself; they tear a hole in the delicate structure of Narrator and all the oxygen gushes out of it. “Who? Who thinks what? Him?” Honestly, who cares? The joy of metafiction comes from feeling one’s thoughts aflutter with questions about authorship and authenticity, without having the words of a novel simply inject such questions into one’s mind. Bragi Ólafsson is plainly capable of conjuring the usual metafictional questions — The Pets and The Ambassador are evidence of that — but in Narrator he doesn’t seem to have his usual faith in the magical properties of suggestiveness and subtlety. More’s the pity. Part of the problem, too, is the novel’s misjudgement of momentum. Narrator falls into a rut almost as soon as the narrator and his target leave the cinema in the opening scene. In typical Bragi fashion, the pace picks up as the molehill grows into a mountain — as the narrative incorporates absurd, unpredictable, and discordant elements — but this doesn’t begin to happen in Narrator until almost halfway through. The narrator’s allegedly abusive relationship with his parents is a thing of wonder to equal the poet’s vexed feelings towards his dead cousin in The Ambassador, largely because his account of the relationship doesn’t involve anything that would explain or justify his lifelong bitterness and sudden psychosis. Yet the reader only reaches this point of the novel after slogging through sixty or seventy pages of comparatively bland material: descriptions of the city, descriptions of the stalking, and descriptions of the weather whose lush imagery belies a barrenness of drama. The most significant problem with Narrator, however, is that even when it is at its best, it still feels like a compilation of Bragi Ólafsson’s greatest hits, but with the original tracks replaced by inferior cover versions. It is unintentionally fitting that G. spends much of Narrator guarding a precious manuscript he has written, which he eventually sends away via post with the implication that it is a draft version of the novel we are reading. This gimmick gives Narrator a structure akin to a Möbius strip, and just like the person who extends a finger to trace the contours of a Möbius strip, readers who follow Narrator where it leads will find themselves revisiting places they’ve already been. From its potentially infinite regress of perspectives to the urgency of its time-bound narration, the best elements of Narrator will be quite familiar to anyone who has spent time with Bragi’s earlier novels. The only real winners here are the readers for whom Narrator is their point of entry into his peculiar world. Unfortunately, it’s a molehill that, if anything, becomes just a bigger, messier molehill. It pains me to say things like this about Bragi Ólafsson. The Pets was my personal ingress into the literature of Iceland today, the first Icelandic novel I read after the mid-twentieth century classics of Halldór Laxness. Hot on its heels, The Ambassador was the novel that confirmed for me that contemporary Icelandic literature, far from being obscure or parochial, was bold, exciting, inventive, and brazen in its disregard for the conventional niceties of literature in the Anglophone world. Both of these novels were published in English just as Icelandic literature was developing a global profile, in the aftermath of the financial crisis of 2008 and in anticipation of the honours conferred by UNESCO and the Frankfurt International Book Fair in 2011. To give him a designation that echoes the title of what remains his greatest work, Bragi Ólafsson was a true if irreverent ambassador for the literary culture of his country. I don’t like to think that Narrator signifies a fall from grace, though it certainly is a wobble. Still, as before, “prolific” doesn’t quite cover his output, and six of his nine novels remain untranslated. That two-thirds of his body of work is a molehill of its own, in need of growth into something grander: an oeuvre that will hopefully find its way into English and cover over this one disappointment as it rises towards new heights..